In the past few years, Gaz Metro purchased Green Mountain Power and TransCanada bought hydroelectric dams on the Connecticut River. Last week, Central Vermont Public Service agreed to a purchase offer from the Canadian-based company, Fortis, Inc.
We look at the impact and implications of the proposed sale on CVPS shareholders, rate payers and employees with company President and CEO Larry Reilly and Vermont Law School Professor Michael Dworkin. And we learn why Canadian companies have found Vermont utilities such desirable takeover targets. Also, in December 2010, there was a backlog at Adult Protective Services of up to 300 cases of abuse, neglect and exploitation to seniors and vulnerable adults in Vermont. This meant abusive situations were left uninvestigated for months. Ed Paquin of Disability Rights Vermont discusses a new agreement that will address this backlog. And, we begin our seasonal series, Summer School! Each Wednesday, Vermont Edition is tapping a local expert to teach us a skill, or introduce us to new hobby. Today the "Wacky Worm Sisters" of Greensboro Bend explain how to set up a worm composting bin. When someone suspects that an elderly or disabled person is being abused, the claim is supposed to be investigated quickly by the state. But a backlog of cases prompted a lawsuit this winter by Vermont Legal Aid. 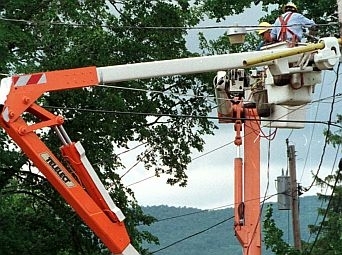 As it tries to judge the competing bids for Central Vermont Public Service Corp., the Rutland Region Chamber of Commerce says its top concerns are low rates and reliable power.